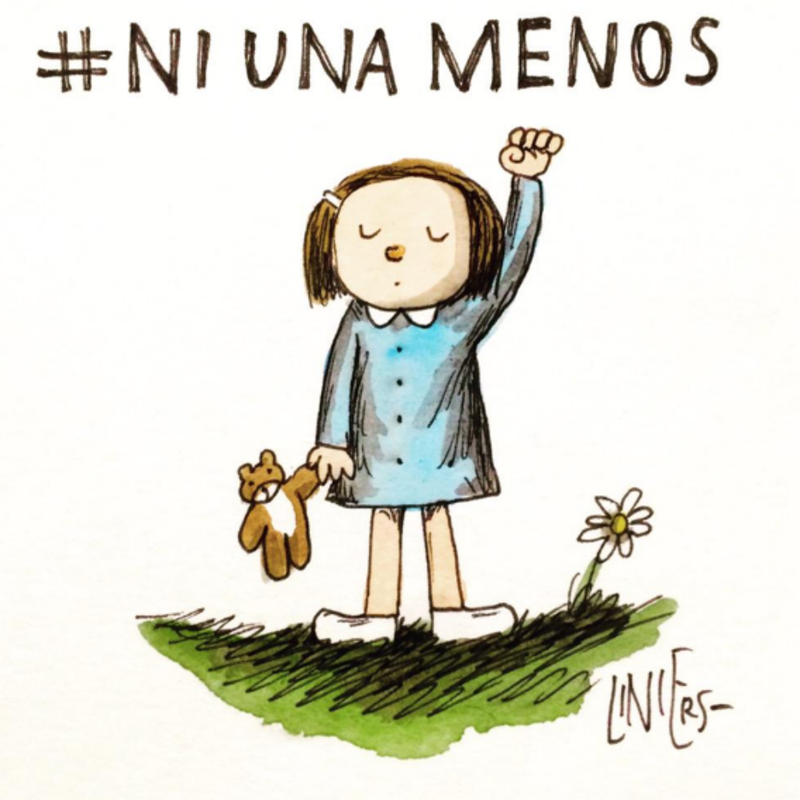 If you were ever in any doubt over the power of Twitter, the hashtag #NiUnaMenos (#NotOneMore) should change your mind. Marcela Ojeda, a journalist in Buenos Aires, took to social media three weeks ago, after reporting on yet another murder. The victim was – as it always was – a girl. And the culprit was – as it always was – her lover. But this time, enough was enough. Chiara Paez was only 14-years-old when she was killed by her boyfriend, Manuel Mansilla, 16, and buried under a patio in his backyard. It’s been reported that she was eight weeks pregnant. She wasn’t exaggerating. The current ‘macho’ culture in Argentina sees women beaten, abused and killed by their boyfriends and ex boyfriends, husbands and ex-husbands, on a daily basis. In fact, recent statistics suggest one woman is killed by a partner or former partner every 31 hours. And the numbers are thought to be rising – although nobody knows for certain, because the government refuses to investigate it. But Marcela’s tweet did make a difference. It was spotted by other female journalists – all of whom had had enough of reporting on femicide (a woman’s death at the hands of a man) – and together, they decided to organise a protest. Which is why, earlier this month, 200,000 women found themselves taking to the streets. 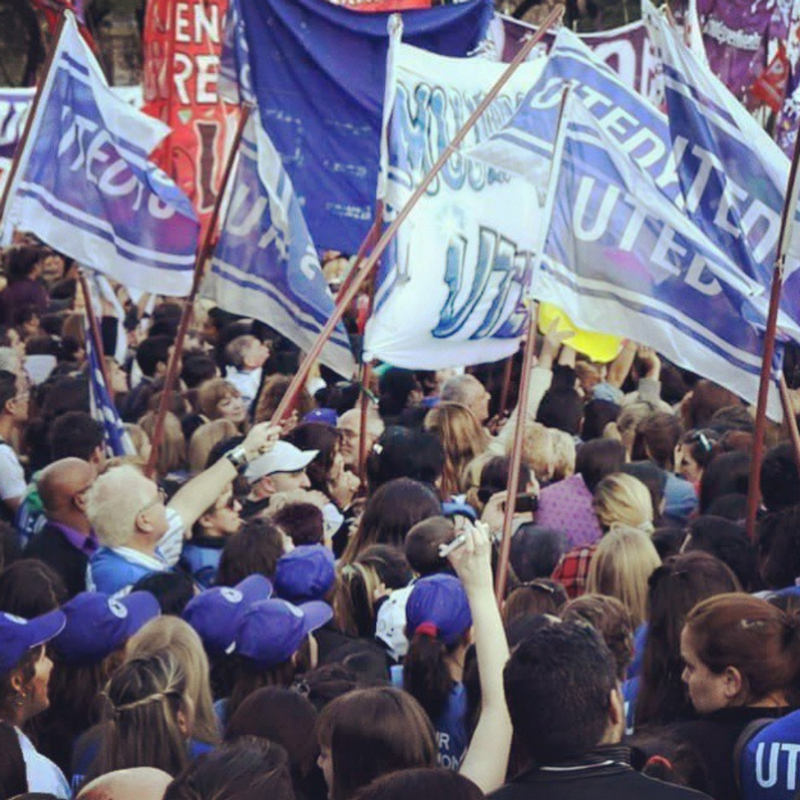 Together, they marched around the Palace of the Argentine National Congress, with other demonstrations happening in over 100 other cities. Many came from Buenos Aires, but many travelled for hours to get there. From all ages, backgrounds and classes, they either knew a victim personally, or they knew somebody who did. Every single one of them knew exactly what was at stake. “These days, women are more likely to die at the hands of a boyfriend or an ex-boyfriend than on the street,” Natalia Gherardi, lawyer and executive director of the Latin-American Justice and Gender Group, told Argentinean daily La Nación. But before you shake your head in disbelief and feel thankful that you don’t live in Argentina – the statistics in Britain aren’t much better. Here, two women die at the hands of a current or former partner every week. Meaning it’s probably time to make #NotOneMore start trending here, too.